D’Asaro Designs is privately owned and operated by myself, Matthew D’Asaro. I hold a B.S. in EE, specializing in analog circuit design from the University of Washington (2010) and an S.M. in EECS from the Massachusetts Institute of Technology (2012) and am currently working on my Ph.D. in EECS from MIT (expected 2016). Electronics is a life-long passion of mine. I have been taking things apart to see how they work since I was a small child and I started working on electronics seriously when I was in high school. 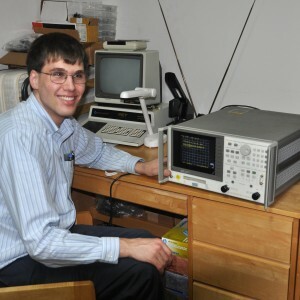 I designed the first of my products (the original 6540 ROM Adapter and the Commodore PET Video Mixer) in 2008 when I was a student of electrical engineering at the University of Washington and have been slowly expanding my array of products and services ever since then. D’Asaro Designs allows me to harness my wide range of skills and experiences to help people with their equally wide variety of electronics needs. For those who may know me from another context, I am 7JP4-guy on antiqueradios.com and am a ham radio operator with call sign KE7SJE.